The Durham Co-op has been a proud retailer of Badger, a family owned and operated body care company. 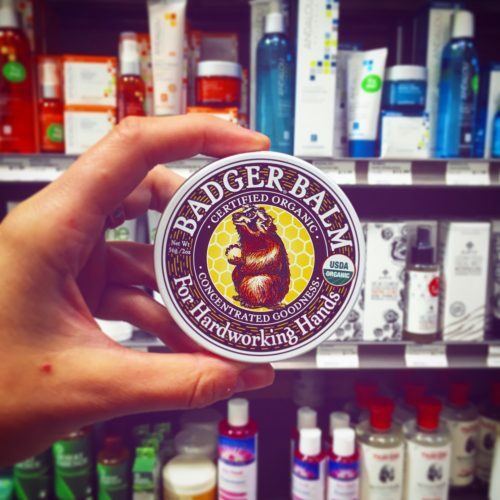 Badger’s integrity goes beyond their effective, safe skin care products. As a certified B Corporation, Badger is committed to creating products that are healthy for people and the planet. Since 2015, Badger has reduced company waste by 77%! The small company maintains environmental practices through regenerative agriculture and the use of organic and fair trade ingredients. Additionally, Badger yearly assess and improves on social impact in their local and global communities. Lucky for us we are fully stocked with the best Badger sun and bug protection! Stop by our Wellness Department and check out summer sales and selection.